Google Shopping Actions was seemingly a rebrand of Google’s former Purchases on Google. 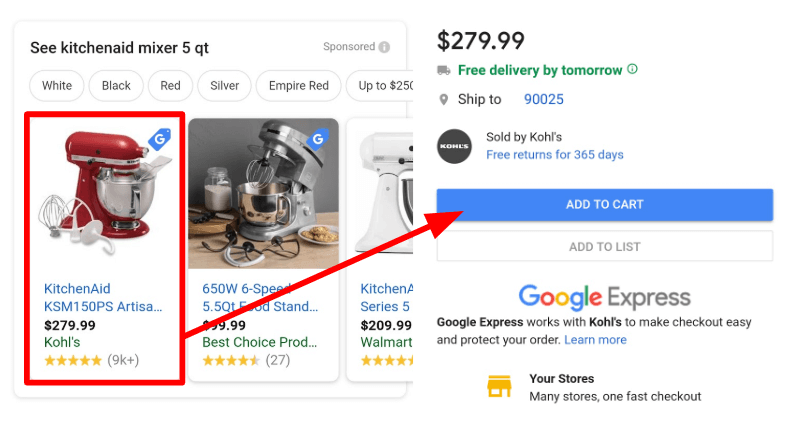 The only real difference between Google Shopping Actions and Google Express now is that Google Shopping Actions are where the products listing ads show up, and Google Express is where the sale actually takes place after a user clicks on an ad. The ad in the red box below is Google Shopping Actions and the purchase takes place on Google Express in the image on the right.